Modern dentures are more durable, affordable, and aesthetically pleasing than ever. These devices are made up of either porcelain or plastic and are custom-made for every single patient in order to match the color, shape, and size of his or her natural teeth. For those that are struggling with an incomplete smile, here is a look at some of the most common forms of dentures and the advantages and disadvantages of each. All dentures are going to fall into one of two categories: partial dentures and complete dentures. Partial dentures will be used when the patient is only missing some teeth, allowing other to be used as a base or anchor for the dentures. Partial dentures will help maintain the integrity of the natural teeth so they do not slowly shift or sag over time. Complete dentures must be used when the patient no longer has any of his or her natural teeth. The complete dentures are either anchored in or removable and will help to promote comfortable eating and speaking. Also referred to as a fixed partial denture, this device is used when one or more teeth are missing but there are healthy natural teeth on either side. When this is the case, crowns are affixed to the living teeth on either side of the area left by the missing teeth. The dentures are then attached to the crown to fill in the space. This promotes the stability of the natural teeth as well as protects the gums from potential trauma. Dentures that are attached to implants are the most advanced option for those who would like to restore their smiles after losing one or more teeth. Dental implants are titanium rods that are implanted into the jaw. The jaw then forms a powerful bond with the titanium post, which will act as an anchor to the dental implant. The dentures are made to match the size and shape of the natural teeth and then attached to the anchors. These dental implants provide the patient with much more durability and physical “feedback” when speaking and eating. 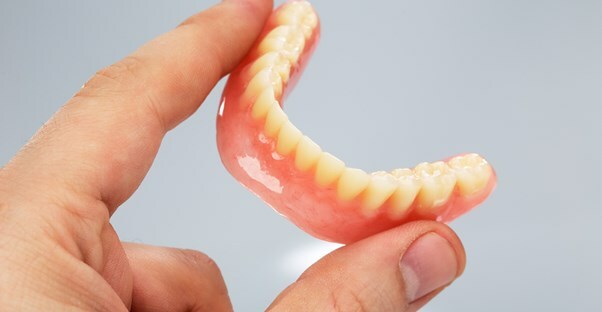 Overdentures can be used when the roots of the teeth are still relatively healthy and have a strong connection with the jawbone. For overdentures, the top of the tooth is removed and the roots are cleaned and gently shaped. Small surgical-grade posts are then used to attach the overdentures to the roots. The primary benefit of overdentures is the fact that the roots provide a more natural feeling when eating and speaking, but they may not last as long as dental implants. No one should ever feel as if there is nothing that he or she can do about an incomplete smile when one or more teeth have fallen out. There are now a number of great options for those that would like to restore the form and function of their smile with advanced dental devices such as dentures.